Trump has successfully preserved his base largely on his use of twitter. So much so, that he knows they aren't going anywhere as long as he keeps it up. 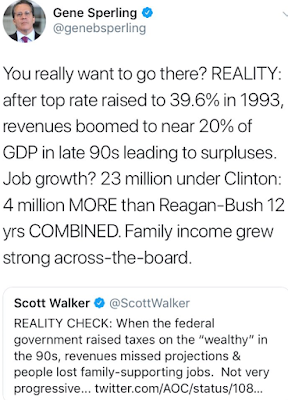 Trump Wanna-be Scott Walker Dabbling...: If it worked for Trump, Walker's nope dope, twitter might be his ticket to the presidency. Well, not if he keeps this up. 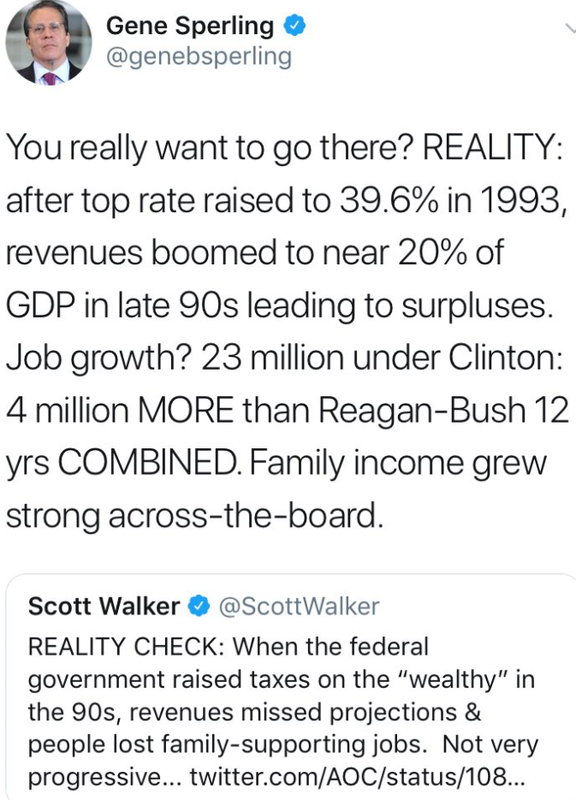 In just one week, Walker's tweets hit the sh** fan. 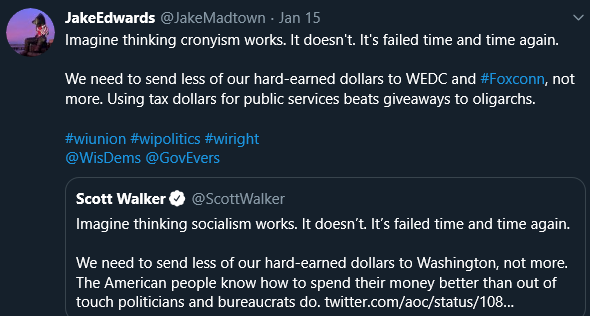 Tell me if Walker "put taxpayers back in charge" after reading Reporter Matthew DeFour nice summary showing us how Walker stole it away from local governments. 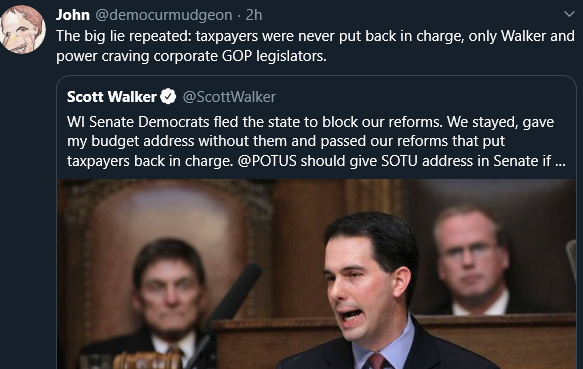 And after taxpayers elected Tony Evers as Governor, did Walker take away or help the new governor fulfill the promises he made to the taxpayers? Since consolidating control of state government in 2011, Gov. 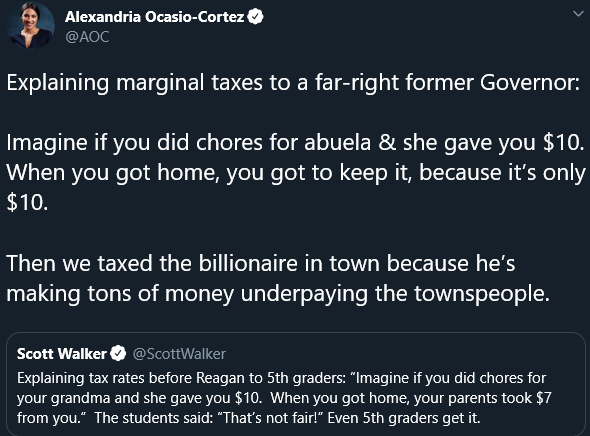 Scott Walker and the Republican Legislature have enacted a series of laws that upend a bedrock of their party’s conservatism: the principle of local control. The GOP has wrested from local government’s control of cellphone tower siting, shoreland zoning restrictions, landlord-tenant regulations, public employee residency requirements, family medical leave rules for private companies and large soft drink bans, among other things. It instituted a statewide voucher program opposed by many school boards and has kept tight property tax caps on school districts and municipalities. The latest and perhaps most disconcerting example for many local officials is a bill introduced by Sen. Tom Tiffany, R-Hazelhurst, that would limit a municipality’s ability to regulate certain aspects of frac sand mining operations, such as blasting, damage to highways, and air and water quality. “Many (municipal leaders) will tell you how terrible it is and how it’s the worst they’ve ever seen,” said Dan Thompson, executive director of the League of Wisconsin Municipalities. UW-Madison political science professor emeritus Dennis Dresang said, “What we see from the tea party types and the radical right types is, ‘I've got an idea, I've got an agenda, and it really ought to apply across the board."